On February 23, 1944, Captain Pat King-Wilson and his wife, Dorothy Osmaston, welcomed “Marianne Dorothy Osborne King-Wilson”— named after everybody! When the war was over, she and her mother– known as Dobbie—left the family home to come to Canada in a banana boat. Marianne and her mother joined her father and his parents (Colonel and Mrs. Norman King-Wilson) at Carling Bay. They moved to Nobel and Victory Village as the family grew: Pamela, Susan and Jamie. — But the family was divided by divorce. Marianne had a waterfront childhood in Carling with her grandparents, and on Bay Street in town. Her grandfather taught her the word “feminist”, along with the skills he would have taught a grandson. By 1957, the second family, Norma and John had arrived. Her family’s values, on both sides, include duty. The Osmaston motto “Ad Rem” – is do your duty. From her father, she learned early that the reputation of the business, and of Parry Sound, depended on a warm welcome and good customer service. At three, she had her first boat, with a motor at six, to use in sight of the dock. Later, there were no limits, always a boat and the Bay. At Gibson Street School, another Hall-of-Famer, Terry Crisp, was in Grade 8, as were her lifelong friends, Lynda Barkley Schwalm, Annemarie Powell, and Rosanna Salerno. During high school, Marianne worked summers at the hospital, continued to work in the family business—but found time to be a teenager. Bell Canada was a career springboard. They hired one applicant in 40 to be a service rep. Next, at Shell, she handled million dollar accounts. After building a toy car from a dynamite box, Marianne loved sports cars, and has owned a few classics. Part-time modeling with sports cars led to a world sales record—she sold 15 Fiat Spyders in 36 hours. Fiat President Gianni Agnelli thanked her personally. Soon she was in Confederation Life marketing, then Dominion of Canada Life, managing sales promotion and employee communication. Later, a headhunter called for a customer service, marketing and employee communication background. So began a twenty-year career with Nestlé. Nestlé presented opportunities to grow far beyond the boundaries of a job. Her mentor Frank Cella, led by example, and believed that one person can make a difference. He was a true leader and builder. As Director of Consumer and Corporate Affairs, she led a unit delivering millions to the bottom line. In the 70s, the “complaints department” was a necessary evil, a cost centre. Marianne made it a proactive profit centre, as the first in Canada to adopt and teach a new approach. 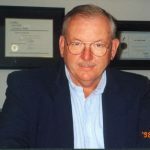 — that it is more cost effective to keep loyal customers than to win new ones. Because she led in developing exemplary standards of practice as president, the Canadian Society of Consumer Affairs Professionals named their individual achievement award for her. She also served for several years on the Executive of SOCAP international, chaired a record-breaking international conference, and won their individual achievement award. Marianne managed large teams for Nestlé projects and events, and counselled senior executives individually in managing issues and media. Nestlé recognition came through successive promotions and a post in the head office in Switzerland. What an experience, to work in a building with 120 languages, and to advise CEOs calling from almost as many countries. During the Nestlé years she met and married Roger Gould and they bought property here. Marianne and her siblings gathered in BC, in 83 for the first time in one place since the family split in 52. They decided to come back to Parry Sound for Homecoming. In 1987 the King-Wilson reunion in Carling gathered Pat, Dobbie, and their children, with grandchildren, for the only time. Even before returning full time to Parry Sound in 1996, Marianne volunteered with the local Power and Sail Squadron. The Squadron flag with the trestle is her design. Resuming her lifelong interest in the economic driver, she served two years as the Chair of Parry Sound Area Tourism. In ‘97 a group called Sound Process 2000 was formed, by the Town, CBDC, Chamber of Commerce and Downtown Business Association, for community improvement. Among many achievements, that group made the first funding application for a performing arts centres and sports hall of fame. In ‘99 she was asked to chair the Health Centre campaign. She and the team raised the goal by a million dollars, for a CT scanner. Four years ago, she helped plan OLD HOME WEEK. Through all of this, beginning in ‘97, Marianne established Sail Parry Sound with an extraordinary team of skilled and dedicated volunteers. It began with then-mayor Nancy Cunningham, inviting Bill Beatty, John Mason, John Shipman and Marianne to discuss sailing races in the Big Sound for economic development. A few weeks later, a crowded public meeting agreed, too. Sail Parry Sound (SPS) formed for community improvement through economic development and youth development. It would restore Parry Sound’s sailing heritage through excellence in regatta management and in sail training. Volunteers who stepped forward from the beginning, brought experience that would be impossible to duplicate in a single corporation. “We share the same values”, she says. “We chose to run Sail Parry Sound like a business, even though we are all volunteers and it is not for profit.” Everyone at Sail Parry Sound is a person making a difference. Marianne and Nancy went to the Shark Class Worlds in June 1997, with Ted Chisholm, former racing director of the Royal Canadian Yacht Club, to invite them to a regatta, for 1998. 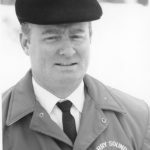 A spectacular racing venue was available, and the volunteers could rely on Ted to help, but Sail Parry Sound had nothing to offer until they got home and asked for help. The idea caught fire. 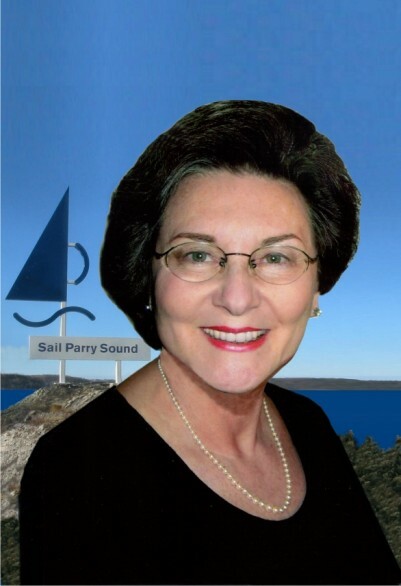 Sail Parry Sound was a virtual sailing club for eight years. The community gave everything; The Town Beach for the Sailing School; The Town and FedNor for start-up funding; John Shipman for launching. Harry Marwood, the committee boat. Harold Blower, a workboat. Hundreds of people, businesses, clubs and councils provided donations, equipment, supplies, and hard work. As the Sailing School set up, Marianne quietly donated a new Optimist pram. Other members signed on a loan for six more. Three more donations followed. People in the area donated backyard boats as backup. The children arrived the first day, to a fleet of new boats, two professional instructors, helpful volunteers and a summer of fun. With Larry Woolner’s leadership the sailing school matured and by 2003, it was chosen ‘Best in Canada’ by CYA, for “Excellence in Sail Training”. Marianne has been the overall Regatta Chair for all but one of the major events held by SPS, including the Worlds. After the success of the Sharks, in September 1998, in what she has since called a moment of madness, she suggested that Sail Parry Sound seek the Olympic sailing with the Toronto bid fourteen carloads from SPS drove to Toronto one wintry day. Paul Henderson, that’s the SAILING Paul Henderson, then an IOC member, and International Sailing Federation President, was speaking. Paul Henderson has been a friend of SPS ever since. The summer of ‘99 brought Regatta Week – two major regattas. Two hundred volunteers made it possible. Marianne went to the ‘98 Shark Worlds in Austria and ‘99 Worlds in Toronto, to invite them here. In 2000 they came to SPS; 54 boats entered, from 4 nations. John Stothers’ Race Committee volunteers gave them first-class racing; their expertise cemented the on-water reputation of SPS. On the land, hundreds of guests were welcomed by an equal number of volunteers, and donations of goods and services worth almost $100,000. Customer service is a hallmark of SPS, for the sailing school families, and for sailors and their families at regattas. Marianne has been to clubs where visitors were ignored. Not here! At SPS, they find that the whole town puts out the red carpet. SPS guests write thank-you letters. We hope they choose to “live, work and invest here.” Sail Parry Sound Regattas have contributed over a million dollars to the local economy, in accommodation, foodservice, and purchases of goods and services, plus return visits to what is now an internationally-recognized centre for sail training and regatta management. For the Toronto 2008 Olympic bid, Marianne had support from all the shoreline communities for Olympic sailing, added to the public endorsement from Paul Henderson of ISAF. All this came before SPS had a place of its own. The next major step was that permanent home. 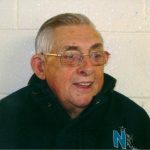 Land from the Town, funding from FedNor, NOHFC, Trillium, and clubs, councils, businesses and families, with Larry Barnes’ financial management, made it happen. At the opening in June 07, distinguished guests showed high regard for SPS in the sailing world. Just weeks later, SPS became Training Development Centre for Northern Ontario. Since 1997 Marianne has spent thousands of hours not only inspiring the volunteers but also raising awareness of SPS and its mandate among local municipalities, provincial and national funding bodies and in the wider sailing world. 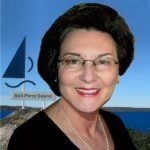 Sail Parry Sound owes its success to the vision, leadership, dedication and drive of Marianne King-Wilson, builder of the sport of sailing in Parry Sound.